The job market seems as hot as ever. As a result, I’ve had a few interesting free-to-play related jobs flitter through my inbox this week. David Perry, Chief Creative Officer of Acclaim (in that company’s new, F2P-only format) and Kyra Reppen, SVP of Nickelodeon, send word of very compelling vacancies in their respective companies. Nickelodeon’s posting is based in LA whereas Acclaim seems open to remote-work scenarios. Kudos to Acclaim! I promised I’d post their opps on freetoplay.biz. Click through for the full text of each posting. Is there a season for conferences? If so, it feels like it’s upon us. GDC and SXSW went well. Here are some links to coverage of my talk at GDC and my panel at SXSW. Next up for me is ICE 08 in Toronto. I’m on a panel there called “Worlds @ Play” moderated by Lucie Lalumière (VP Interactive, Earth Rangers) in discussion with Leigh Alexander (Editor, Worlds in Motion / Staff, Gamasutra.com), Matt Daly (Cofounder, Metaversatility.com) and Barbara Lippe (Art Director & VP International Relations, Avaloop). I’m only in Toronto from Wednesday afternoon to Friday afternoon, but if you want to grab coffee at the conference, let me know! In the interest of playing devil’s advocate, I thought I’d throw out 10 reasons why free to play might be slower to succeed in the Western world as it has been in Asia. While I don’t necessarily believe all of these will inhibit F2P’s growth, one of the slides in my GDC presentation this year is to do with the challenges F2P faces – so this should help fulfill that requirement. The term ‘virtual’ may not have a strict legal interpretation, but if anything it means that the thing being described is NOT whatever comes after the word ‘virtual. Despite virtual property’s ill-defined legal status, developers have had no qualms about starting byzantine in-game economies driven by the exchange of real money for virtual land, clothing, furniture and much more. Some developers, like GoPets CEO Eric Bethke, have attempted to get out in front of the virtual property legal issue by defining their own “Avatar Bill of Rights.” But most of us have not been as proactive and instead seem content to leave it up to the courts to decide how to define and deal with our users’ virtual property. As precedents regarding virtual ownership are set, the growth of some F2P products may be curtailed as the legal burden of dispensing virtual property increases. On the issue of net speed, there remains a huge disparity between North America’s broadband ISPs and Korea’s military-grade internet provision. The net effect is that free to play games like Maple Story can take 1-3 hours or more to download in North America, while Korea’s 45mbps network cuts the same download to a paltry 10 minutes or less. It’s fair to say that we won’t soon be getting such high download speeds – but the North American market might have already found a way around the issue. With the launch of streaming game services like InstantAction and the proliferation of Flash as a full-blown development platform, downloading entire game clients become less and less the norm. Some products in the F2P sector have come to rely heavily on advertiser support in order to keep their offerings free for the majority of players. A recent OMMA article that claims advertisers are taking the wrong approach when handling virtual worlds. And as the populations of virtual worlds appear to be prematurely plateauing, advertisers may be starting to sweat. …themed events, branded avatar clothing, and representative personality appearances are finding success and opportunity in worlds like There, Habbo and vSide. From Maple Story to Silkroad Online, there is no shortage of MMOs in the free to play space. In the same vein, there is an abundance of virtual worlds such as Second Life or Kaneva. It seems as though the vast majority of new free to play game since 2005 have been virtual worlds or MMOs. Perhaps it’s the very reason that these games have proliferated in the free to play market; MMOs and virtual worlds are inherently more inclusive than an FPS. Still, it would be a shame to see the free to play space flounder due to constant reiteration of the same genres and themes, turning away players seeking a different experience. Of course, games like Kwari are looking to change that, but it’s too early to tell just how well they will catch on. With more prominent developers announcing plans to take advantage of the free to play model, the days of games fueled by ramen noodles and nights in the basement could, once again, be history. EA’s upcoming Battlefield Heroes is the latest big budget free to play game, signaling that the big publishers aren’t content to sit back and let Far East imports eat their lunch. If the consumer makes the jump from 2D to more advanced 3D graphics, it could mean the end of the visually rudimentary worlds and Flash-based free to play games as market leaders, making way for the mainstream big budget games. Second Life is the Apple Newton of virtual worlds. It was here first, but isn’t the best representation of the potential of virtual worlds. However, it still occupies a place in investors’ minds – akin to a coal mine canary, warning of impending danger. And while investors took note as Second Life soared to the top, they’re noticing its decline as well (active user hours were down 5% in November). There is concern among some that Second Life’s time might be up, and that’s not a good sign for potential investors in the free to play space. With their lower barrier to entry and great potential to spin money, an slew of less innovative products are beginning to hit the market. Hardest to ignore are adverworlds like Build-A-Bear, Rush Zone, BeBratz, BarbieGirls and their ilk – marketing spend thinly disguised as entertainment. The consumer’s willingness to pay money for virtual items in a world where their avatar is little more than a target for advertising will be tested by products like these. Then there’s the issue of gold farming. With websites like IGE operating independently of game developers and establishing secondary markets for game currency and items, it’s not just traditional MMOs that are being subjected to this kind of treatment anymore. What’s worse, while gold farming might fuddle with World of Warcraft’s player-driven economy, some developers believe a secondary market allows players to skip the middleman altogether – a potentially fatal issue for free to play games who survive on item-based revenue streams. The recent launch of publisher-sanctioned Live Gamer is a step in the right direction for devs and pubs looking to reclaim lost revenue. We have hanging on our wall a user who sent a $5 bill in a $15 fedEx package. While other territories enjoy a plethora of tailored-to-the-consumer payment methods, North America has embraced relatively few. SMS would surely be nearly as popular a payment method here as it is in Europe if our carrier surcharges weren’t in the range of 50% a transaction. Landlines – an expensive but very secure payment option in China – might also be popular with some services. GoPets has 90 different payment systems worldwide, catering excellently to foreign payment preferences. Nonetheless, consumers still have trouble getting money into their favorite North American games. The current offering of free to play games caters nearly exclusively to the under-25 set. An NPD study released last year showed that while 91% of online gaming among kids aged 2-17 is free to play, by the time those kids graduated high school, the boys had moved to sixty-dollar console games and the girls dropped out of gaming entirely. In the core gaming arena, Nintendo has found a way to appeal to young and old alike. Free to play’s appeal among adults relies on the proliferation of products that do a Nintendo-quality job of bridging the age gap or target older demographics only. I spent a couple hours today pretending I had infinite time and money to attend free to play-relevant conferences the world over. The result is this list of the top 10 conferences for those who want a crash course on F2P development and a slew of contacts in the sector. Over the last year, there’s been a deluge of new virtual worlds conferences, but not all are created equal. So in addition to sorting on quality, I decided to sort for those that were at least partially geared toward English speakers. Some of the following conferences occurred in the past, but have been included in the hopes that they become annual affairs. The Virtual Goods Summit is a one day conference focused on the emerging market opportunity for virtual goods and economies. Once restricted to the world of online gaming, virtual goods and currencies are beginning to influence the development of social networks, community sites, and many other new and exciting markets. The Virtual Goods Summit was a one day affair at the Annenberg Auditorium featuring a series of one hour panel discussions and presentations. Notable speakers included the CEO’s of Gaia Online, Three Rings, Kongregate, GoPets and K2 as well as the Director of Business Development at Nexon. The topics discussed included virtual goods as the next big business model, industry success stories and the forces driving user adoption. Check out F2P.biz’s summary of the Virtual Goods Summit. Our pan-European virtual worlds confex connected brands, major corporations, digital and virtual worlds agencies, media and entertainment players and games companies, technology suppliers, analysts and commentators, lawyers, regulators and venture capitalists and all those harnessing the power of virtual worlds to engage with clients, suppliers or customers. The Virtual Worlds Forum lasted two days and was by no means focused just on games. The keynotes and panel discussions we’re about many things including brand recognition, corporate opportunity and revenue possibilities. Panelists included Paul Hemp- Senior Editor, Harvard Business Review; Ginsu Yoon- SVP International, Linden Lab and Thomas Bidaux- Director of Product Development, NCSoft Europe. Check out Wonderland’s summary of the Virtual Worlds Forum. Virtual Worlds Conference and Expo helps businesses harness the power of virtual worlds to engage with their customers, partners and employees. The event follows our sold out Virtual Worlds Spring New York conference. Speakers from this year’s conference included Paul Yanover, VP and Managing Director at Disney and Anthony Zuicker- creator of CSI. The event featured hundreds of speakers overall and some major corporate support. This year six streams will be available with an emphasis on the financial and operational aspects of virtual worlds. Where as some of the conferences on this list are art or design orientated the Virtual World Conference seems to be strait business. If you are going to attend one industry event in 2008, this is the one. The core objective of this year’s conference is to promote Learning, Networking, and Inspiration. The GDC team has been working hard to create the most exciting and compelling conference yet. Most notably, we have adjusted the timing for the call for papers forward to ensure that we’re presenting you with the most up-to-date topics facing game developers today. You won’t be disappointed. The GDC isn’t exclusively interesting to free to play followers but in the wake of E3’s fall from grace this is the game industry’s flagship event. 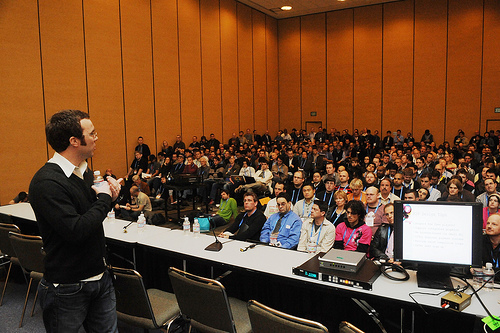 Also at GDC is the Worlds in Motion Summit debuting this year, an event focused on virtual worlds. FreeToPlay.biz was asked to speak at the Worlds in Motion Summit and as a result, Adrian Crook will be presenting a primer on the F2P revenue model at the event. Also giving talks are Raph Koster, Nabeel Hyatt, Eric Bethke, Min Kim, Chris Romero and others – making this a great conference for the F2P sector. 2008 will be the second year for the IMGDC featuring presentations from Richard Bartle author of Designing Virtual Worlds, Raph Koster and Gordon Walton who was previously VP/Exec Producer at Sony Online Entertainment, Maxis, Origin Systems and Kesmai Corporation. Check out Gamasutra’s summary of the Indie MMO Conference. Though SXSW doesn’t provide a ton of events catering specifically to the free to play crowd, it is a phenomenal collection of creative people working in emergent digital entertainment fields. Couple this with the fact that the event is part of North America’s largest music festival and party and attendance seems like more than a good idea. Check out Throwspace’s summary of SXSW. The Austin Game Developers Conference attracts over 1,100 attendees and provides educational, networking, and business opportunities for game development professionals driving the $11 billion videogame industry. It is the a global forum where programmers, artists, producers, game designers, audio professionals and others involved in the development of interactive games gather to exchange ideas, network, and shape the future of the industry. 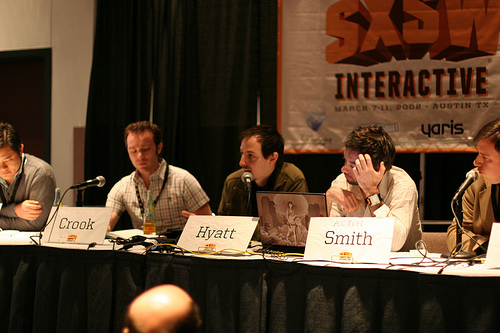 Austin GDC has become synonymous with MMO design due primarily to the city’s deep MMO development scene. The conference features talks and panels focused on free to play, “Web 2.o,” MMO development and micro-transactional revenue models. Building on the great success of the 2007 conference, OGDC 2008 will expand the plenary sessions from two to three days, and feature a wide range of keynotes, sessions, and panels, giving attendees new views of the online game universe—everything from an overview of the latest business, product, and legal developments to in-depth looks at scalability, player psychology, and in-game economic systems. This event features Erik Bethke, founder and CEO of GoPets; Alan Crosby director of global community relations at Sony Online and Steve Goldstein of Flagships Studios. 2007’s OGDC was a good start – hopefully 2008 is a big step forward. Check out MMORPG’s summary of the OGDC. Each year, Symposium/ITxpo: Emerging Trends is founded on a framework of six megatrends that Gartner sees as critical to how business and technology will evolve in the near and long term. Gartner attracts a different crowd from the game-centric conferences listed here. Typically, Gartner attendees come from the IT or VC worlds. The value of Gartner attendance lies not in the curriculum, but in your fellow attendees. The 6th Video Game seminar as part of IDATE’s DigiWorld Summit 2007, is organised with financial support from the City of Montpellier. A host of opportunities have opened up over the past two years: the development of serious games, Massively Multiplayer Games and persistent universes, online capabilities incorporated as standard features in home consoles, the emergence and growth of mobile gaming, the development of online poker that’s been as swift as it has been surprising… All constituting innovative technologies and ways to play which, in this era of growing convergence, involve or induce an overhaul of business models. I’m sure I missed some relevant conferences, so if you can think of any leave a comment for our other readers. Tech Digest has a writeup from a panel discussion at Virtual Worlds Forum Europe. In it, Jessica Mulligan, Executive Director of Player Relations at Cyber Sports, provides several interesting-but-unattributed stats and a couple quotes that support what F2P.biz is about. 60 million active players of virtual world games (people who are paying money on a monthly basis). Virtual worlds generated $4.5 billion in revenues last year. WoW, Westward Journey and Runescape are in this group. Social spaces (Habbo, Webkinz, Club Penguin, etc) generated $400M last year. Asia accounts for 50% of all virtual world revenues. We’re going to see more games under that business model [f2p, vis] than under the premium model. In social spaces, web-based worlds are growing, while those that rely on you downloading a client are “stagnating”. Interesting stuff, but without any sources to back up the stats or quotes, it’s tough to view this as anything more than cheerleading for the sector. For instance, I believe browser-based is a smarter choice than downloadable client, but I’ve heard little evidence to support Jessica’s notion that downloadable client games are stagnating. Virtual Worlds Forum Europe is on now in London, England until tomorrow. Editors Note: Since this article was posted, Jessica has been kind enough to reply (in the comments of this post) with the source for her stats and observations. Thanks, Jessica! For those of you who read F2P.biz regularly, you might recall an article I wrote about Asia’s virtual goods lead. In it, I talked about Brad and Kyle, my cousins aged 7 and 13 years old from the Southern Ontario city of London. During a visit, I chatted them up about their gaming habits and watched them play for a while. 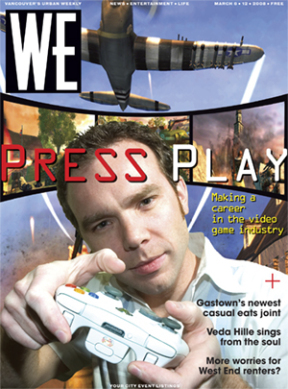 It was clear that free to play PC games had almost entirely usurped retail, pay-to-play products in their personal gaming library. Their favourite games were titles like Puzzle Pirates, Habbo Hotel and Runescape. Look at that first stat. That is so incredible that it has to be wrong or misinterpreted by me. If that’s true, where is the retail, pay-to-play gaming industry headed as the next generation of kids comes of age? The study does say that eventually kids (males, mostly) graduate to consoles in their late teens, but as new free to play games start catering to a “new adult” demographic, fewer and fewer teenagers will make the jump from free to $59.95.